Hello! Bonjour! My full name is Dong-Giao TRAN, I am a registered traditional Chinese medicine Practitioner and Acupuncturist. You may call me "Giao" (pronounced like "ciao" with a G). Let me introduce myself. I was formerly a Civil Engineer. I had the joy of building bridges and tunnels, managing the reparation of power nuclear plants in high radiation zones in France and in Hong-Kong. After completing those challenging projects, I changed careers to follow my family medical lineage in traditional East Asian medicine and acupuncture, a medicine and philosophy I was exposed to since young age, in particular at my father medical clinic. After years of practice in the field and guidance from various conscientious senior doctors, and practitioners, I have gained the knowledge and expertise to treat a variety of ailments, diseases and injuries, well beyond neurological disorders. Scientist by training, passionate and problems solver by nature, I am committed to providing quality of care and clinical results to my patients. For this, I constantly refine my clinical skills and knowledge through research and periodical practice alongside senior clinicians in Vietnam, France, Germany, Switzerland. When time permits, I also involve in the community or provide treatments to patients in less developed countries. 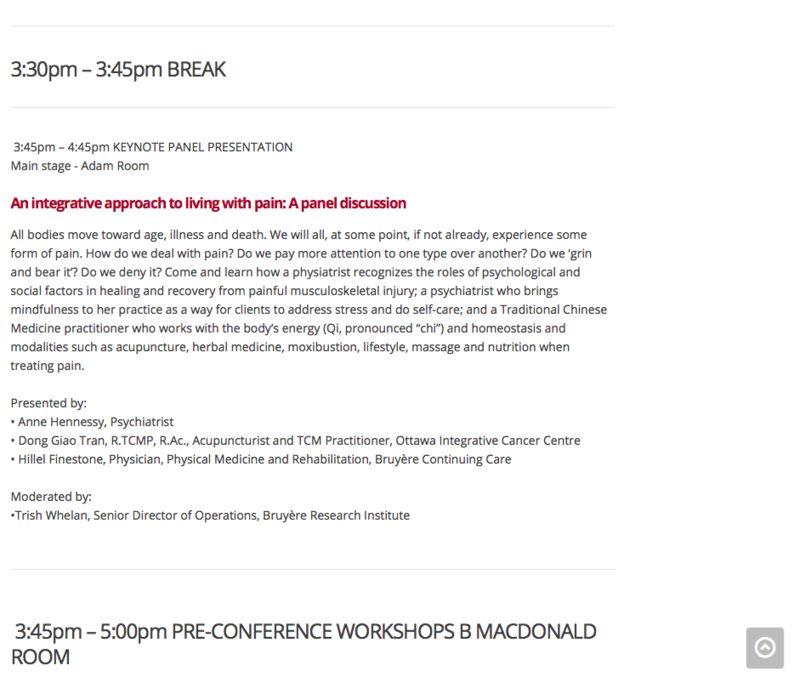 I am also proud to be a mentor of caring licensed acupuncturists and medical doctors learning traditional Chinese medicine, both in Canada and abroad. To provide integrative care, I believe practitioners should be professional, compassionate and sincere. The recovery process from health issues is a journey. It requires a close partnership between the patients, their healthcare providers, their family. I provide this service to all of my patients, in French or in English, with or without cancer, at the Ottawa Integrative Cancer Centre and at my private practice in the Westboro Village. As an old saying said: "The journey of a thousand miles begins with a single step". Let's have a walk together.